$22.50 & FREE Shipping on orders over $59. 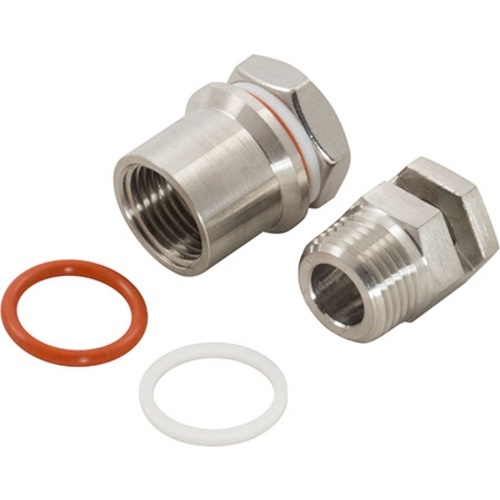 The Ss Brewtech Whirlpool fitting attaches to the thermometer port, the recirculation port, or another 7/8" hole. Creates a nice whirlpool action that works perfectly with a trub dam to keep out most of the hop matter and other solids from your fermenter. Made from 304 stainless steel. 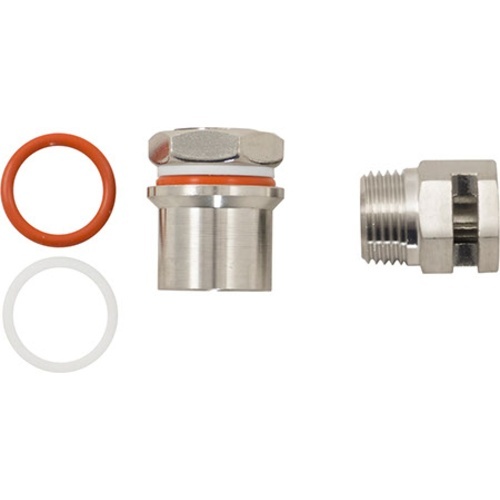 The whirlpool fitting has a 1/2" MPT and comes with 1" x 1/2" bulkhead. 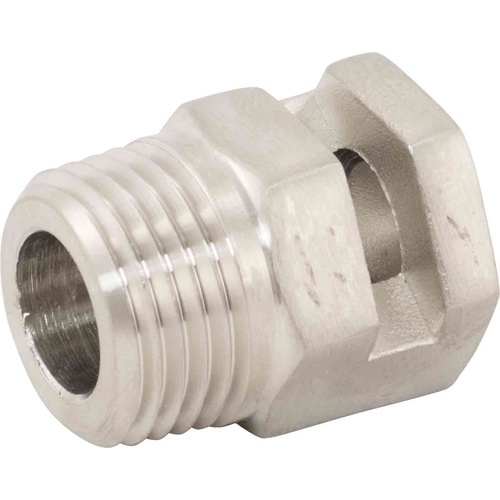 Please note this product is intended to be used with a 1/2" FPT ball valve (BE382) on the outside of the kettle. Please see the Whirlpool Fitting Quick Reference Guide below for installation and operation instructions. I'm doing more whirlpool hop additions lately and tired of hand-stirring it. This will also make my immersion chiller more effective. 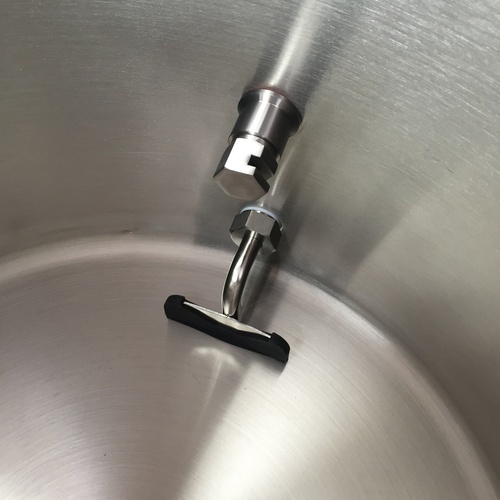 So, I don't have to manually stir boiling wort - its hot! It’s certainly very convenient and a quality Brewtech product but I get the feeling the whirlpool might be a little stronger if it didn’t throw it out of a 180 degree opening. Simple and effective. I can swirl it faster manually with my stir paddle than my pump and this fitting can do. However, holding the paddle and swirling above a boiling liquid is very HOT. This was able to do the job for me well enough to be sufficiently effective. Hope comes up in a pile just fine.